The Goodyear Tire & Rubber Company has appointed a new leader of its operations in the Philippines. Effective February 1, 2016, Kenneth Sambajon, currently Sales Director, will take on the newly created role of Market Director for Goodyear Philippines. In this capacity, he will be responsible for overall country operations with emphasis on driving sales and marketing execution. Sambajon will report to Andy Cooper, Managing Director for Goodyear ASEAN (Association of Southeast Asian Nations) cluster. 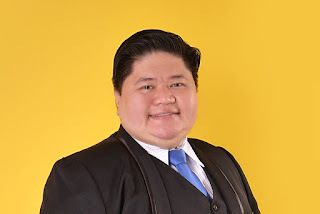 Before joining Goodyear Philippines in early 2015, Sambajon amassed a proven track record of more than 15 years in the areas of business management, sales and supply chain management at companies including Nestle, Unilever and Colgate Palmolive, where he drove profitable growth, market share and process improvement. “The Philippines is a significant market for Goodyear in Asia Pacific,” said Cooper. “Kenneth has extensive experience and proven expertise across the business enterprise that can help strengthen Goodyear’s leadership in the Philippines. Sambajon replaces current Goodyear Philippines Managing Director Ron Castro, who is leaving the company to pursue other interests. “We would like to thank Ron for his many contributions to the company and wish him well in his future endeavors,” said Cooper. Bakit parang pang Michelin itsura nya? He needs more pies! Give him more. 2 years already, any progress?